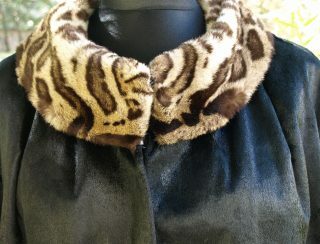 The prospect and thrill of owning real fur can sometimes get in the way of the practical problems that storing fur entails. 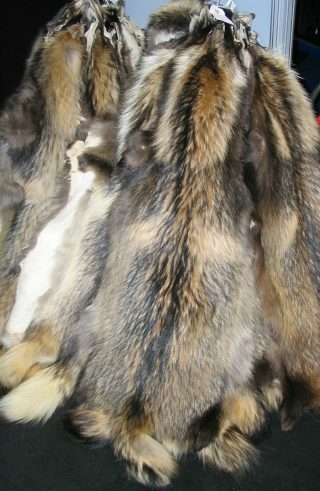 If you are planning on buying a fur garment, you will need to plan ahead and not make its long term storage an afterthought. 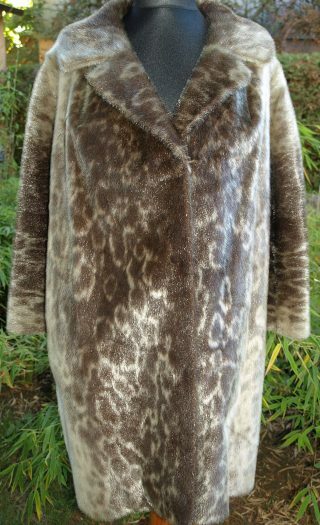 Perhaps more than any other clothing fabric, fur is very sensitive to atmospheric conditions and of course if you get it wrong then that’s a considerable amount of money wasted. So let’s have a look at the main considerations you need to make. If you are wearing your furs out and about, then it is very likely to be the cold season! This is of course fine for the garment as it is designed for the cold and keeping warm is the whole point of owning fur, and in those times when you need to wear the outfit frequently, you can be fairly relaxed about storage. It is during those longer periods of the year when it is warm and you aren’t going to be wearing the furs that you need to start planning on what you’re going to do with regard to safe storage. There are a number of fur storage dos and don’ts, and the most important factor is to get the temperature right. Your fur coat needs very cool temperatures for storage all year round, so during the warmer seasons you need to get a plan together for this. 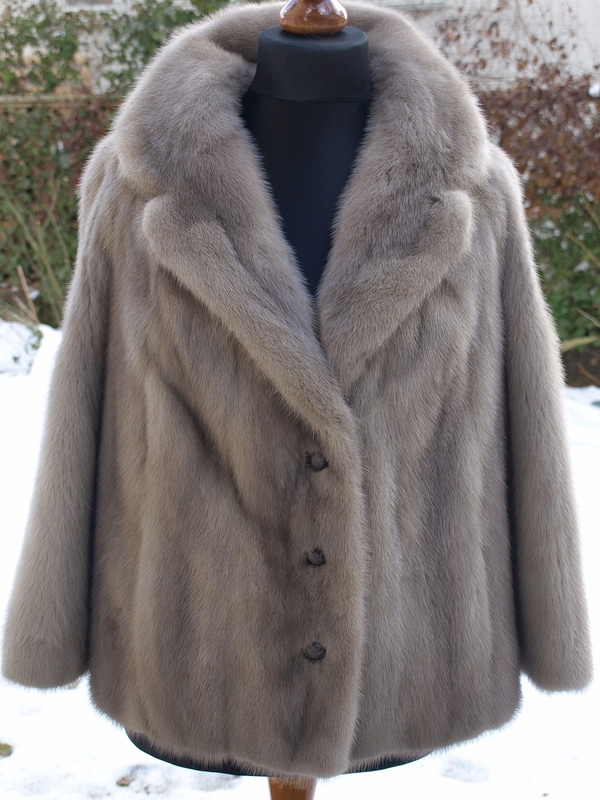 The ideal temperature to store fur is between 34-45 Farenheit (1-7 Celsius) which is of course really cold! However, as you can gather when you visit a fur clothing store, you can get away with higher temperatures, and if you can keep a moderate temperature below 55 Farenheit (13 Celsius) then you are probably going to be OK. However within the modern central heated and insulated home, this is going to be quite a low temperature to reach comfortably, and you may have to have a dark secluded cupboard in a drafty room with the radiator switched off to get somewhere around this temperature. Another equally considerable factor is humidity. We all know how rot can set in on all sorts of materials organic or otherwise when there is a high level of water in the atmosphere, and fur is particularly sensitive to this. You need to look at humidity levels around 50%, somewhere in the range of 45-55% is good. If you like in an area that is fairly dry around summer then you are probably going to be in good standing here, although it is best to invest in a cheap hygrometer to get an official opinion. (In fact, I would say having a good hygrometer-thermometer combo is essential for all fur owners so that you don’t need to take any chances with your garments, and a selection are available here.) If you live in a coastal area, you are probably going to run into problems here, as your internal atmospheric conditions are likely to never drop this low, not even if you keep a window ajar all year round. If your air is likely to be too humid, or even not humid enough, there are home solutions available in the way of humidifiers and dehumidifiers. 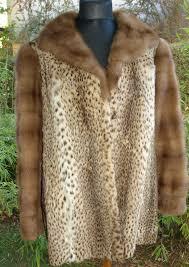 They come at a bit of a cost, but if you are investing in furs, then the benefit is of course obvious. At this point you may be asking why we need to keep furs in such unusually cold and dry conditions? Well, you have to remember that fur and skin are natural products, and as such they are going to organically break down over time. Just like meat will start to degrade if not effectively stored or cured, the same goes for the outside of the animal too! 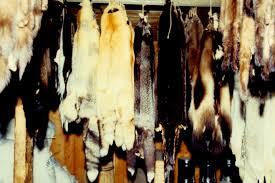 We don’t want to freeze fur like we would to meat in long term storage, but rather keep it as cold as we can get away with. The reason why 34-45 Farenheit is favoured is because it is as cold as you can get without water in the air starting to freeze. If you freeze water then when it warms up again, it expands, and if that happened then the water retained by your fur garment would also expand, thus being misshapen or even splitting when taken down to freezing point then back up again. A cold but even temperature is therefore the optimum in this case. There are other reasons to go to these lengths with temperature too – if you have ever handled a very old piece of fur or leather, you will notice how fragile it is compared to a brand new piece. This is often down to natural deterioration rather than poor handling. Fur on a live animal is full of natural oils, and these are retained after skinning and processing since they form an excellent natural protection for the fibres. However as part of the natural biodegrading process, the oils will gradually evaporate over the years, much like whisky from a barrel, and whilst we can’t do much about this, it is known that cooler and dryer conditions will slow this natural reaction down as much as possible so you can enjoy your furs for longer. 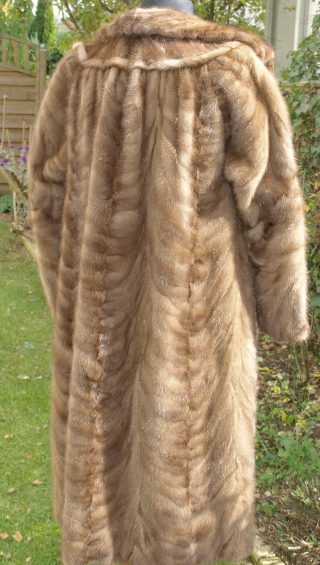 Whilst you may be particularly fond of your coat, it isn’t just you who has eyes on it. The smaller creatures that get into our homes from time to time, the mice, moths and all manner of bugs, not least our own pets on the loose, can cause irreversible damage to fur. If you know that your home is particularly susceptible to any of these pests, then you need to get a firm plan in place to not only mitigate but entirely eradicate this issue. Sadly, it’s also two legged creatures, other humans, that have an interest in the economic value of fur, and as such you need to ensure that any cupboards containing fur are very securely locked, as this is exactly the sort of thing that intruders love to take away with them. For many fur owners, there will be roadblocks of one sort or another in terms of being able to keep their furs in good condition in the long term. One very good solution is to turn to the self storage market for ideas, and just doing a simple Google search like “fur storage near me” may come up with local facilities that know about the demands required for storing fur and have appropriate solutions. Quite often you will be offered climate controlled storage which is usually well adapted to dark, dry and temperature regulated storage for all manner of collectible and expensive items, but do find out first the accurate specifications of the temperature and humidity range that their climate control system is guaranteed to operate at. One excellent benefit of self storage is that security should be the last worry on your mind. Despite many facilities now having 24 hour access, they are usually CCTV’d to the hilt, as keypads and locks abound, and quite often you can choose how secure you want the lock to be on your specific storage unit. The big downside to self storage is that it isn’t the cheapest option, and whilst payment plans exist that keep the fees very low for the introductory months, you will need to keep up with payments. If you don’t, then the storage company is legally obliged to take ownership of your furs and off they go to auction, and that’s probably the last you’ll ever see of them. If you are unable to find a fur storage company near you or have any specific questions on any of this, then perhaps the next best place to ask is your furrier. It is highly likely they need to keep their overstock somewhere, or are at least aware of what their other customers do, and can probably give you some tips on the best value place to go.